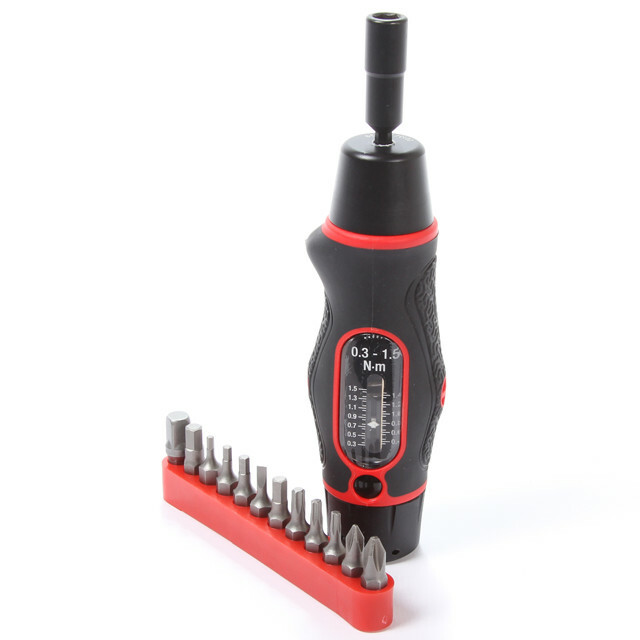 Designed and manufactured in line with the philosophy of the TT Wrench series, the Norbar Torque Screwdriver is built for accuracy and ease of usability. To allow for easy torqueing for smaller fasteners and restricted spaces, the entire range of Norbar Torque Screwdrivers are fitted with a removeable bit holder, which can be replaced by any number of widely available screwdriver blades. Accuracy is +-6% for tools up to 10 Nm. Norbar Torque Screwdrivers are now available in kit form with a range of 12 bits, packaged and supplied in a durable, heavy duty hinged box.